Lockheed Martin delivers last amp C-5 Galaxy military transport aircraft to United States Air Force. Lockheed Martin [NYSE: LMT] completed delivery of the 79th and final C-5 Galaxy aircraft of the current Avionics Modernization Program at a ceremony at Travis Air Force Base, Calif., on April 27. Aircraft 70-448 will be assigned to the Air Force Reserve 433rd Airlift Wing at Lackland AFB in San Antonio, Texas. The AMP program is the first part of a two-step modernization process. AMP began in 1998 and incorporates a mission computer, a glass cockpit with digital avionics, autopilot capabilities and state-of-the-art communications, navigation and surveillance components for air traffic management. The second phase of the C-5 modernization effort is the Reliability Enhancement and Re-engining Program. 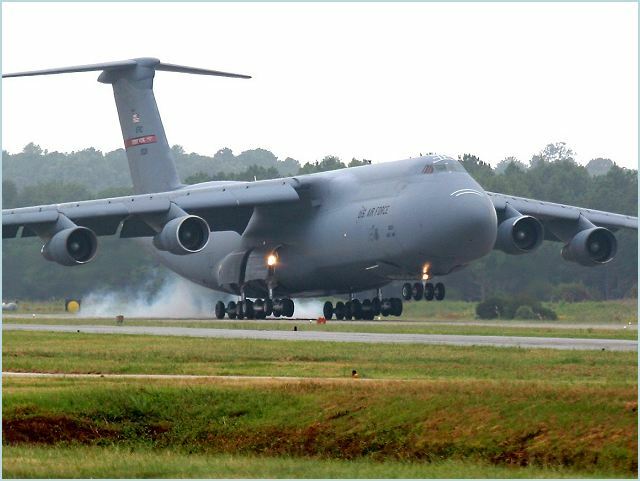 Of the 79 C-5s that received the AMP modifications, 52 will be upgraded with newer, quieter CF-6 engines and more than 70 additional improvements as part of the transition to becoming a C-5M Super Galaxy. The Super Galaxy is America’s premier global direct delivery weapon system and the only strategic airlifter capable of linking the homeland directly to the warfighter in all theaters of combat without refueling. It was recently the first U.S. airlifter to fly a direct polar overflight from the United States to Afghanistan. The C-5 can carry twice the cargo of other U.S. strategic airlift systems and is the only strategic airlifter capable of carrying 100 percent of certified air-transportable cargo.